A downloadable version of our training brochure can be found here. A full breakdown of course content can be downloaded and printed here. This is a standard automation training course without any customisation. 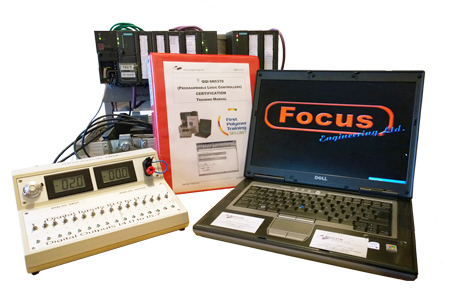 It provides a good introduction to PLC's hardware and software. Dependent on the course participants, the needs of knowledge are different. For example an electrician will have more interest in the electrical side to PLC compared to an engineering manager who might be more interested in concepts of PLC's. This training course is fully customised to the customers needs and can be machine specific dependent on what the customer requires. We have developed a training needs analysis form to identify your automation training needs in order to provide you with the best service possible. Download in PDF or Excel. For more information on our training courses please contact us. Or alternatively use our training registration form.